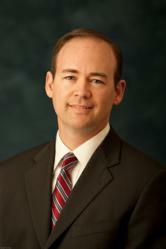 C. Adam Buck of The Frutkin Law Firm, PLC represents an investor in dispute against GMAC and MERS. A real estate investor from California tapped experienced litigator C. Adam Buck of The Frutkin Law Firm, PLC to represent him in front of the Arizona Court of Appeals. In this case, the tax lien investor entered into a dispute with MERS, the electronic mortgage recordation system set up as part of the Wall Street mortgage crisis. The Court of Appeals was asked to determine if MERS has special legal rights that require it receive notice of a foreclosure, even if the mortgage company received separate notice. The Court of Appeals heard argument on Delo v. GMAC Mortgage, LLC, 2 CA-CV 2012-0085 on April 24, 2013 in Tucson, Arizona. After the argument, the Court of Appeals took the matter under advisement, which means that the Court will issue an opinion later this year. Buck has successfully conducted numerous jury trials, bench trials, arbitrations and appeals. He has experience in all phases of civil litigation and trial. He has also represented clients before the Registrar of Contractors and the Department of Real Estate. Buck was recently named Partner of The Frutkin Law Firm, PLC. The Frutkin Law Firm now consists of ten attorneys with decades of experience in the core areas of business law, bankruptcy, estate and tax planning, and civil litigation. For more information on The Frutkin Law Firm and practice areas, visit http://www.frutkinlaw.com.